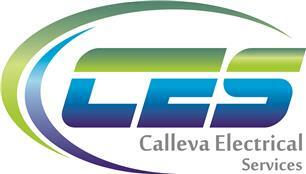 Calleva Electrical Services - Electrician, Kitchens based in Church Crookham, Hampshire. Calleva Electrical Services are an NICEIC registered electrical installer with bases in Tadley and Farnborough, Hampshire. We also offer a full kitchen fitting service - please call or email to find out more. We provide a professional and quality service to Domestic and Commercial customers in Berkshire and Hampshire. From extra sockets complete electrical installations on new and existing buildings, we can cater for all your electrical needs. All of our electricians are fully qualified and Part P Certified and of course, friendly, polite and courteous. Electrical Testing.....New build installations....Kitchen Installations....Commercial electrical installations....Fuseboard Upgrades....Security Lighting....Extra sockets/Lights etc....Call out....Fault Finding....and more!